Regarded for many years as a consolation race for horses who missed out at the Cheltenham Gold Cup, the Betfred Bowl Chase often attracts a high quality field and produces one of the more exciting races on the opening day of the Grand National Meeting at Aintree Racecourse. It was upgraded to a Grade 1 race in 2010, and a purse of GBP 150,000 makes this meet an even more enticing event for the top horses and trainers. Run over around three miles and one furlong (5,029 metres) for horses aged five and over, contenders will have to safely negotiate 19 fences in order to get to the finish line. Although Betfred is the title sponsor for the race, we’d advise you to have a bet on the Betfred Bowl Chase with Bet365.com, where you will find the best odds for the race and is where the odds below were taken from. 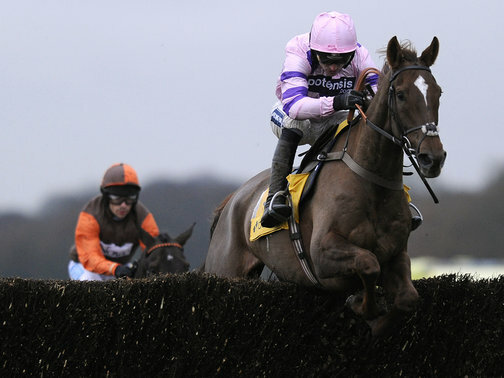 Silviniaco Conti starts this race as favourite as he seeks to return to winning ways for Paul Nicholls. A winner of the Charlie Hall and Betfair Chase in his first two starts this year, he was running strongly before going to ground three fences out in the Cheltenham Gold Cup in a few weeks ago. He won comfortably in those two earlier wins, beating horses he will go up against on Thursday. One minor detail that Nicholls will have in the back of his mind is the fact that over the last ten years, only one race favourite has gone on to win the race. Thursday’s race will see a rematch for Silviniaco Conti as he goes up against The Giant Bolster and Cape Tribulation, who finished fourth and fifth behind Bob’s Worth at Cheltenham respectively. Cape Tribulation won in his two starts preceding the Cheltenham run, both over three miles and one furlong, but found himself outgunned a couple of weeks ago. The Giant Bolster ran a decent if not spectacular race for fourth at Cheltenham and at 8/1 goes into this race on the back of some mixed form. His last start before the Cheltenham was in February, where he finished second behind Silviniaco Conti. The race before that, he was a winner on 1 December ahead of Menorah, who finished in third that day, and who comes into this race at 12s. Menorah pulled up at Cheltenham, where he was running in the two mile and five furlong race, so will be looking for a stronger run this time out. The conditions don’t seem to be in his favour, however. Another interesting entry in the race is First Lieutenant, who was runner-up in the Ryanair Chase. He finished second of eight in that two mile and five furlong race at Cheltenham. He was the race favourite that day, but finished a disappointing nine lengths behind the winner Cue Card. His two prior races saw him place as well, and a winner could be around the corner if his preparation goes according to plan. The Irish horse is joined by compatriot Quito De La Roque in the field, who last raced in January, which was him win over two miles and four furlongs in Thurles. The race takes place on Thursday at 15:30 CET/ 09:30 EST. As mentioned above, the best racebook to place a bet on the 2013 Betfred Bowl Chase is Bet365.com, who will offer the best odds on the race. When visiting Bet365.com, click on ‘Horse Racing’ in the left sidebar and scroll down to the Antepost section of the page, where you will find the markets for this race and many more. The Betfred Bowl Chase was established in 1984 and was created as a race for those horses that either had to miss the Gold Cup at Cheltenham or as a consolation prize for horses unable to win the event a few weeks earlier. The status of the race was upgraded to Grade 1 in 2010 after being run as a Grade 2 event since its inception. As a result, the race is now firmly in the minds of the top trainers and a feature of the meeting in its own right. Previous winners have included some legends of the jumping game and Desert Orchid, Wayward Lad, See More Business and Florida Pearl are among those on the honours list. Visit the race’s wiki page to find out more information on the race.